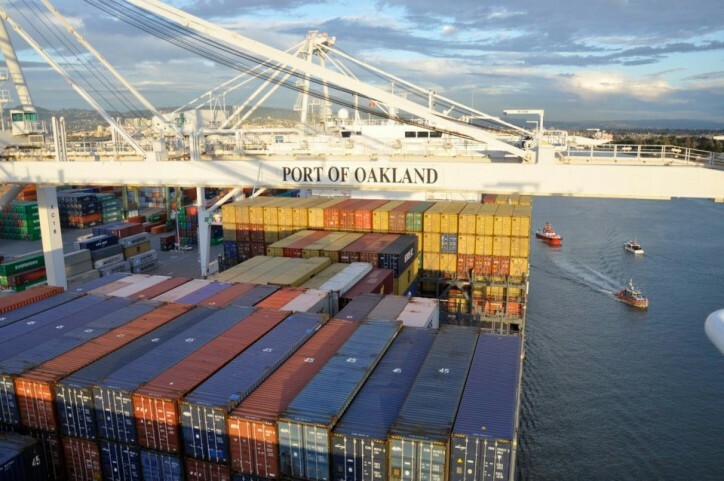 The Port of Oakland had its busiest November ever for imports in 2018, shattering an 11-year-old record. The Port said Friday that it handled the equivalent of 83,364 loaded 20-foot import containers last month. That beat the old November record of 76,902 containers set in 2007. November imports were up 15 percent over the same period in 2017. The Port attributed the increase in cargo volume to continued strong U.S. consumer spending. It added that importers are rushing cargo into the U.S. in case new tariffs are imposed next year in the ongoing trade war with China. Total volume—imports, exports and empty containers—was up 5 percent in the first 11 months of 2018, the Port said. If the trend continues, Oakland would set a new cargo volume record for the third straight year.